Michael came to Parkwood as senior pastor in November of 2009. 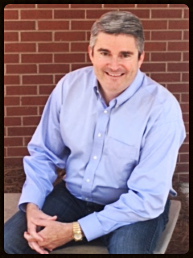 Michael is originally from Greensboro NC and is a graduate of Brevard College, UNC-Greensboro and Southwestern Baptist Theological Seminary. He previously pastored churches in NC, TX, and ND. He and his wife Angie have 3 children, Luke, Abi, and Hannah. His favorite past time is spending time with his family, exploring hidden away restaurants with his wife Angie and reading great books where great coffee is served. His favorite book include Knowing God by J.I. Packer, Pilgrim’s Progress by John Bunyan, and The Pursuit of Holiness by Jerry Bridges. His favorite Theologians are J.I. Packer, Wayne Grudem, James Leo Garrett, and Millard Erickson. His favorite Restaurants include Lexington BBQ, Smoke Pitt BBQ, 131 Main, and Epic Chop House. His hobbies include hunting, fishing, target shooting, catfish-noodling/grappling, History-American and military, music, and watching NFL and UFC.